We are pleased to announce the Composer Residencies and Minute of Listening strands of the New Music Biennial 2017, which supports and provides a platform for talented organisations and music creators who are pushing the boundaries of new music in the UK. Part of Hull UK City of Culture 2017, these two exciting additional projects will involve local residents, community groups and primary schools across Hull in the creation and performance of new music in the city, over the next two years. 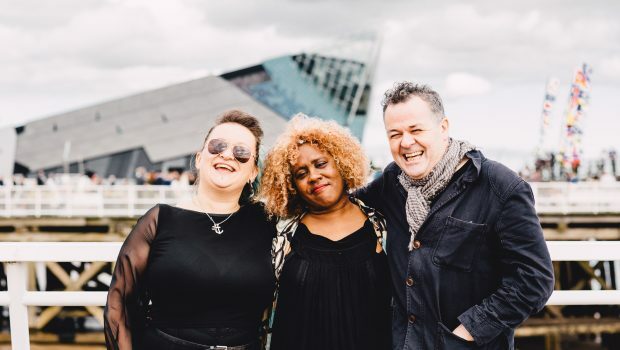 The New Music Biennial Composer Residencies will kick off in September 2016 to give local communities in Hull the chance to spend time and create music with five of the New Music Biennial’s brilliant music creators, folk legends Sam Lee and Eliza Carthy, classical composers Errollyn Wallen and Brian Irvine and beatbox/electronic artist Jason Singh. The Composer Residencies will continue beyond July 2017 with local student music leaders mentored by New Music Biennial composers. New Music Biennial – Minute of Listening is a special edition of Sound and Music’s innovative digital learning tool, which provides primary-aged children with the opportunity to experience 60 seconds of creative listening each day of the school year. Minute of Listening will be celebrating the unique sounds of the city of Hull; from regional artists, locally sourced music and recordings and new tracks by New Music Biennial composers. PRS for Music Foundation’s New Music Biennial is an exciting and free new music festival, presenting 20 pieces of new music across two festival weekends, in Hull as part of UK City of Culture 2017 (30th June – 2nd July 2017), and at London’s Southbank Centre (7th – 9th July 2017). The New Music Biennial will be broadcast on BBC Radio 3.